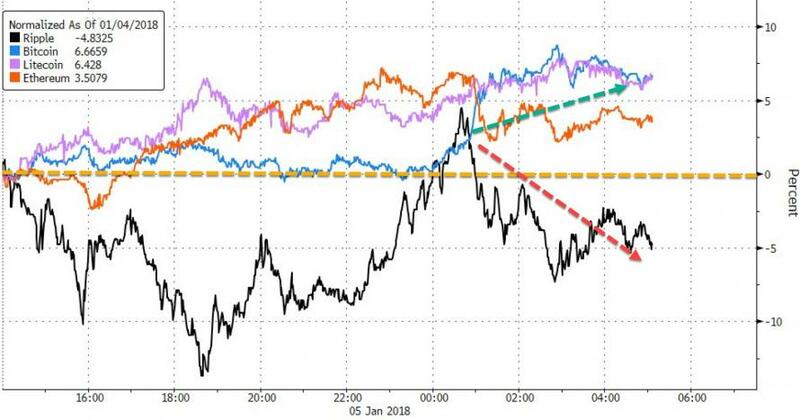 Whether it is Coinbase's denial of plans to include Ripple on its network or simply a broader understanding of the asset, 2018's high-flyer is lagging today as investors regain their appetite for Ethereum (record highs over $1000) and Bitcoin (over $16k) overnight. 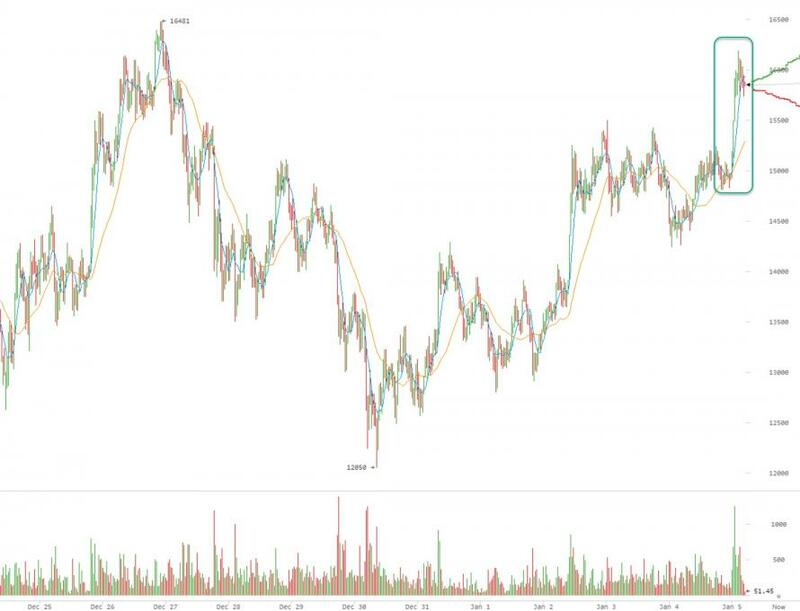 Ripple began its decline yesterday, but extended losses today as CoinTelegraph reports that the popular exchange and wallet platform Coinbase has refuted recent rumors that Ripple (XRP) or other cryptocurrencies will soon be integrated into GDAX, its flagship digital currency exchange. That is a double from the 12/22 lows. 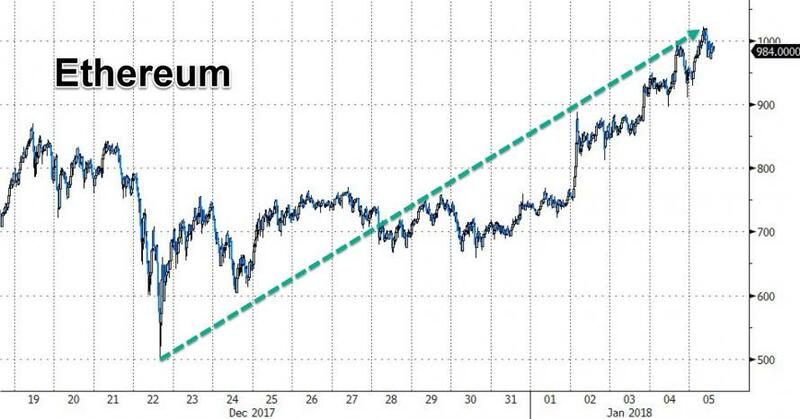 Ethereum’s market capitalization rose above $100 billion for the first time on Thursday, according to Coinmarketcap data. Earlier this week, ethereum founder Vitalik Buterin announced the launch of two subsidies to support research into the scalability and development of the cryptocurrency.